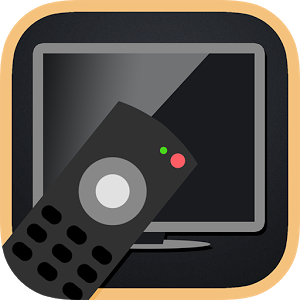 Galaxy Universal Remote Turn your phone into a universal remote control using your phone's built-in IR transmitter. No external hardware required. No network connection required. No permissions required. Lifetime return policy!Control your TV, your Set-top Box, your Audio Video Receiver, your Sound System, your Amplifier, your DVD Player, your Blu-ray Player, your Media or Streaming Player, your Air Conditioner, your Projector, your DSLR camera, your PS3, your Xbox, and more! 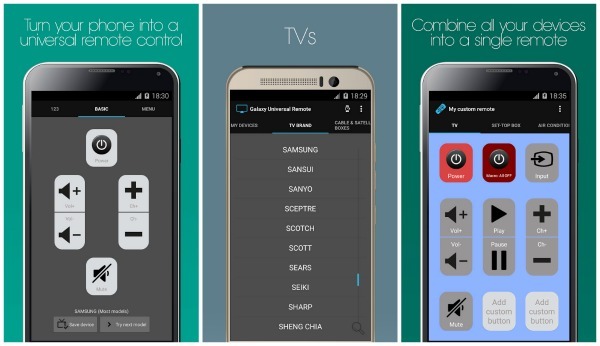 Prank your friends, anything you'd like with this user-friendly remote control! Save each one of your devices so that you can easily access them later. Send your own custom IR code and save it to a button. Scan mode to automatically test and find out a compatible one.